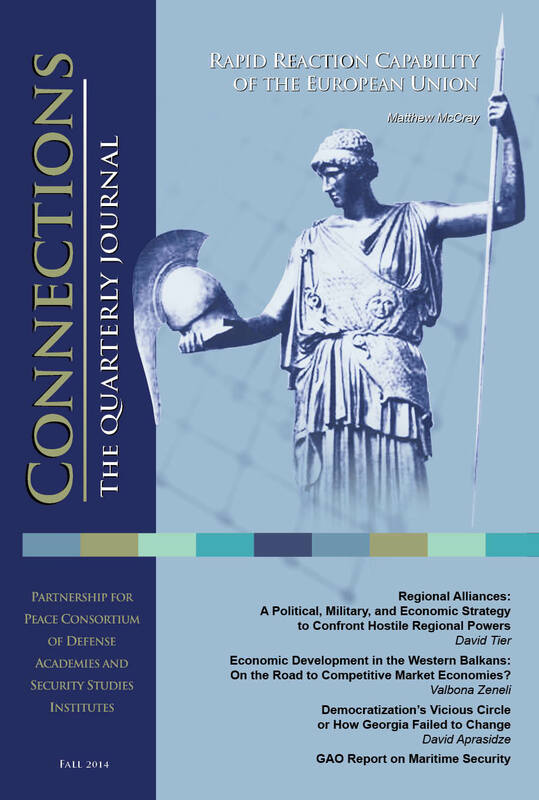 The Fall 2014 issue of Connections presents ideas on the strengthening of the rapid reaction capability of the European Union and ways and means by which regional alliances may effectively confront hostile regional powers. It provides insight into the challenges and perspectives of the economic development of the Western Balkans and the peacefull, democratic transition of power in Georgia. The final maritime security report provides in-depth analysis of the efforts to defeat piracy off the East and the West coasts of Africa, and explanation why they succeed to a different degree. Tier, David. "Regional Alliances: A Political, Military, and Economic Strategy to Confront Hostile Regional Powers." Connections: The Quarterly Journal 13, no. 4 (2014): 25-52.